Before I made CD-covers I used to make covers for my cassettes too, of course. I have just thrown all of them away, because I hardly make any cassettes anymore. I loved to make cassette covers. 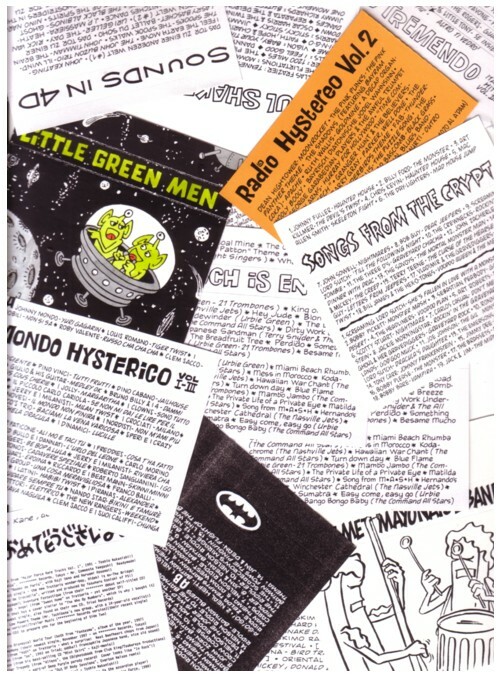 It was often difficult to cram all the titles and names on the tiny space that a 90 minutes cassette cover has, but as a comic letterer I am used to write very small letters. 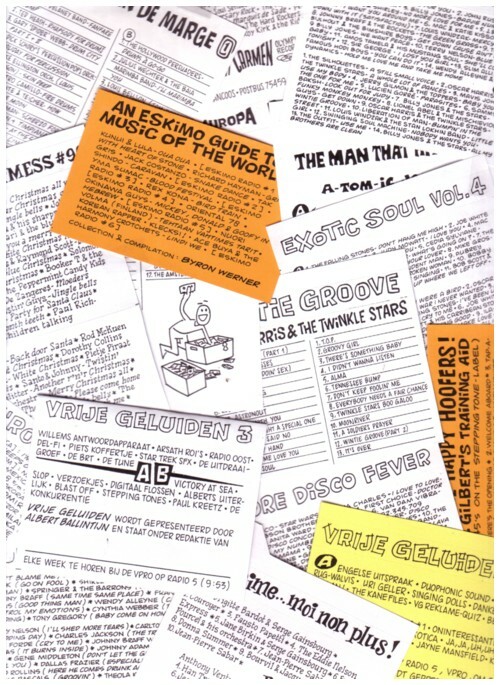 The design of a cassette cover, at least in the way I made them, was rather simple: there was a 10×6 centimetres space for all the info, and a 10×1 centimetre space for the title of the cassette. Well, 10×1.2 centimetres for the old cassette boxes, actually. But that is not much space for extravagant designs. Of course, you could make covers that are folded, or even two sided. In that way you could make a 10×6 centimetre sized cover. But because the covers had to photocopied, and photocopiers were not as good in the eighties as they are now, it was not easy to come up with something beautiful. I already mentioned the great cassette covers that Pieter Dorrenboom made, but I have some other great cassette covers in my collection that I hope to be able to show you in a future episode of this Soundtrack. I made only a handful of illustrated cassette covers. 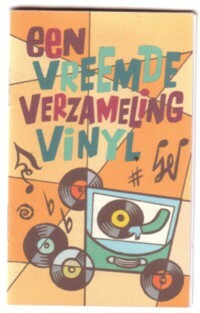 I never felt really comfortable as an illustrator in those days, and because I traded tapes with artists like Pieter Dorrenboom, Milan Hulsing and Marcel Ruyters, I settled for lettered designs. It took me years to accept the fact that cassettes are a dead medium and that the cassette culture is over. I still love and play tapes, but for trading music I prefer CDr’s. Not only because of the sound quality, but because they are so much easier to copy, they take less space and because it is more fun to design covers for CD’s than for cassettes. In one of the boxes with cassette covers that I emptied today, I found some covers-with-booklets that Pieter Dorrenboom has made. Because he knew I traded tapes with many people, he often gave a pile of covers to send into the world. He made the covers in full colour, and often he made a little 10×6 cm sized booklet, that could stuffed into a cassettebox. If you imagine how much love an time Pieter put into these cassettes, you can understand why I found it difficult to accept the death of the cassette culture. I have three copies left of the two booklets shown here, and of course I have the tapes too. So, if anybody wants to have an hour of nostalgia, just ask. 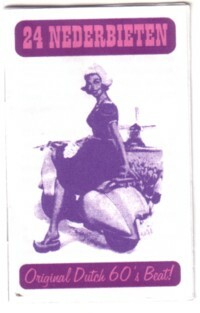 Here is a song from the tape with rare Dutch beat records that Pieter compiled. It is a labour of love that should make most record companies feel ashamed. It is Waaauw! by The Jay-Jays. Hi. I need a few different cassette covers to be made for a project. I would like to know if someone can do this for me and how much it will cost? I need a barcode to be placed on the cover.